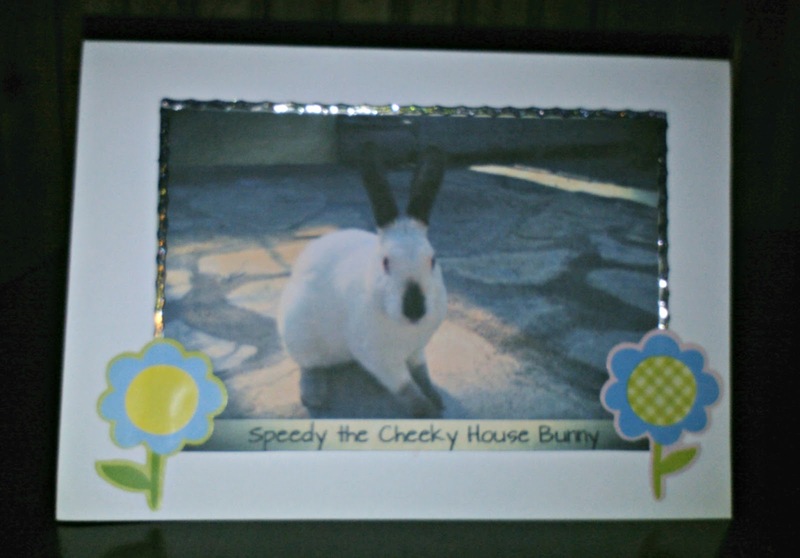 That's right, Speedy the Cheeky House Bunny delivered this special note card all the way from the UK! Thank you Speedy, we love it and have it hanging on our refrigerator. Shiner some delicious KONG Treats in the mail too, which she loved! 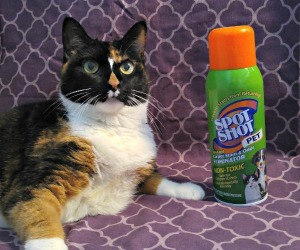 She got chicken and beef flavored treats. Here's a video of her doing some tricks for a treat. We also had lots of fun dying Easter eggs. 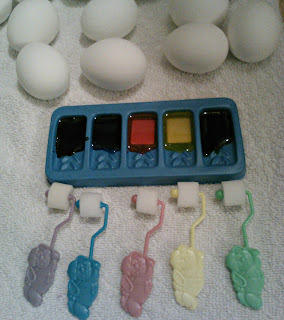 I found this cool Easter egg dye kit that you use little mini paint rollers to decorate the eggs with. It was fun, but I don't think I liked the end result much. The eggs were extremely sticky once colored. 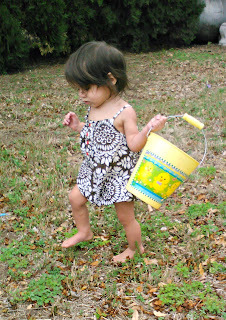 It was also the first Easter my youngest daughter, Violet, was able to walk around. She only found one Easter egg by herself but was very happy with it. She said "Yay!" and just walked around the yard with it while her older sister found all of the other eggs. I hope everyone else out there had a good weekend! 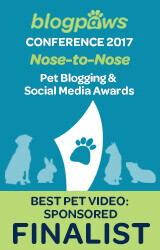 If you don't know yet, Pawsitively Pets will be moving to WordPress sometime this week. I am just waiting on the transfer process right now, but it should be complete midweek. I'll be back to my regular posting schedule soon! I will keep you updated if anything happens with my feed, but I am trying to make it so no one has to re-subscribe. Hopefully it works! We hope you had a Happy Easter and that the Easter Bunny hopped over with lots of treats. It looks like you all had fun. 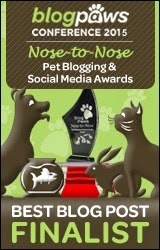 Paws crossed the move to WordPress goes OK.
Hope you had a great Easter! We love our "Speedy" card too! Oh my - fur!? I would have loved some of his fur hehe... rex's have the softest fur! Well, I've been thinking of it for a long time now but never did it because of the cost. Since I am managing my father's business website for him with a bluehost account, I am able to move this site to that account without paying any new hosting fees. Another main reason is because the lack of support options from Google. Everytime I need an answer about Blogger, I could spend hours and days trying to figure it out rather than being able to call someone. If anything ever happened to my blog, I'd never be able to talk to a human about it! But, I do really like the ease of Blogger. Looks like a lovely weekend! Such beautiful children. Speedy is just the best!!!!!! Shiner worked hard for that treat! Good job! Haha thanks Cupcake. She was being a little stubborn. looks like everee one hadda grate time ! What a fun easter you had! We got a card from Speedy too! Shiner got there in the end!! Bless :) Hope the move goes ok! Hi Ann it looks like you all had a great Easter. That dye kid looks great. 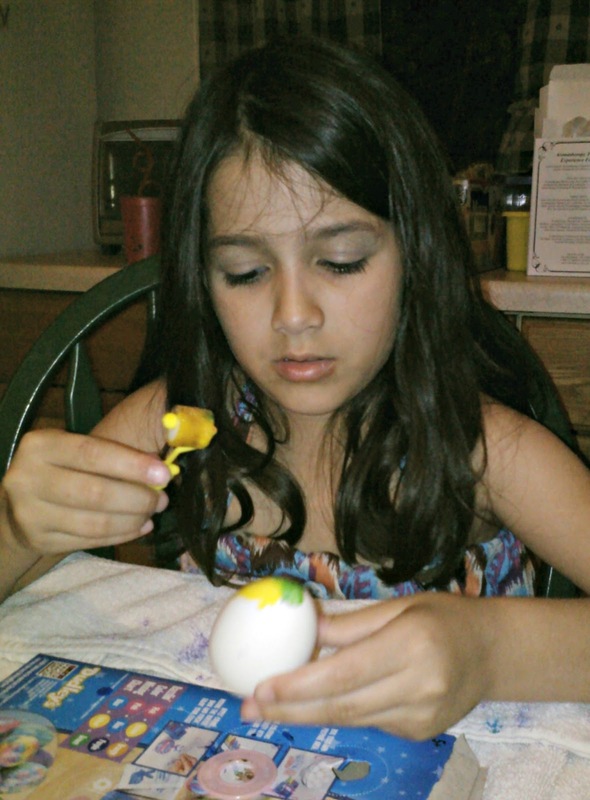 Too bad the eggs were sticky. Sounds like you had a great Easter. Good luck on the blog transfer. Your girls are adorable. Glad they had a good Easter. AND good luck with the 'move'! Sounds like you had a great Easter!